2015(64) Mercedes-Benz C Class C180 AMG SPORT EDITION PREMIUM PLUS Coupe Automatic with Panoramic Sunroof, 3 Stamp Mercedes Service Record! 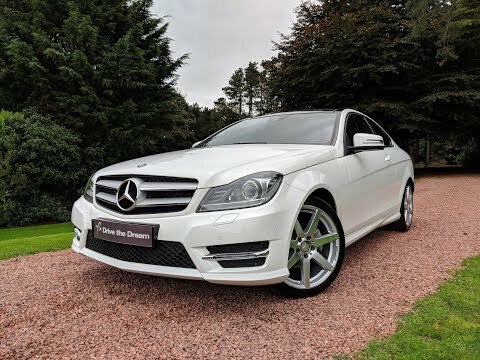 C180 AMG SPORT EDITION PREMIUM PLUS Coupe- In stock we have a Mercedes C180 AMG Sport and let me tell what a great example it is! This vehicle comes with a 3 stamp Mercedes service record. This car is something everyone can appreciate with such low mileage and it certainly catches your eye on the road! Spec Includes - Panoramic Sunroof, Pre-Safe anticipatory safety system, Bluetooth interface for hands free telephone, COMAND HDD Navigation with media interface, AMG body styling, Bi-xenon headlights/wash + dynamic range adjustment, LED daytime running lights, 8 speakers, Dinamica/artico artificial leather upholstery, Sports seats, 3 spoke AMG steering wheel in Nappa leather, Auto dual-zone climate control system and much more! Please register early interest.